Introducing our lightest tracer unit to date! 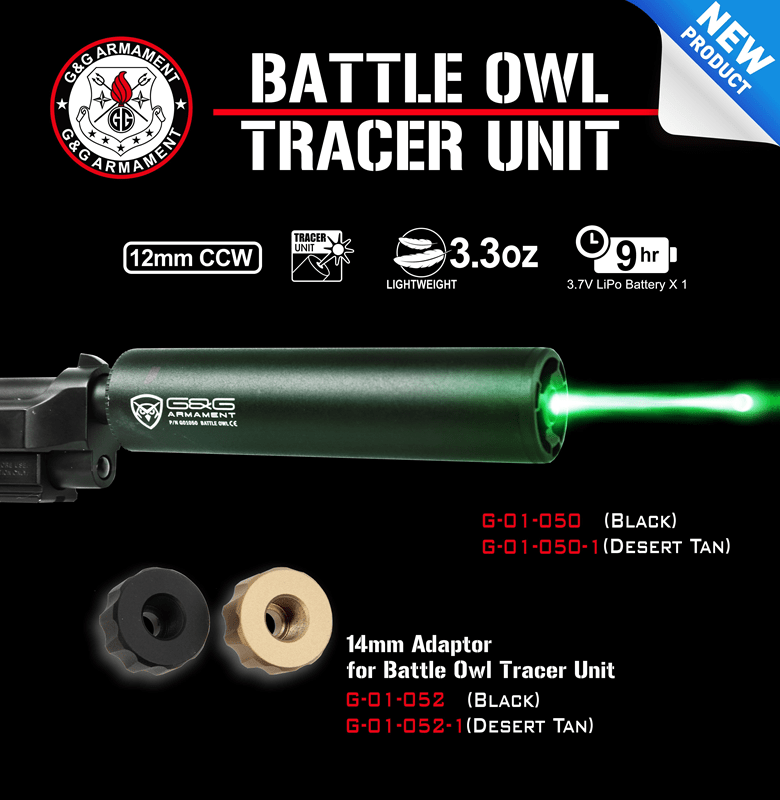 The Battle Owl tracer unit was designed to specifically fit on our current new pistol series with 12mm CCW threads. The Battle Owl tracer unit is easily rechargeable through a USB cable making it easy to charge anywhere!